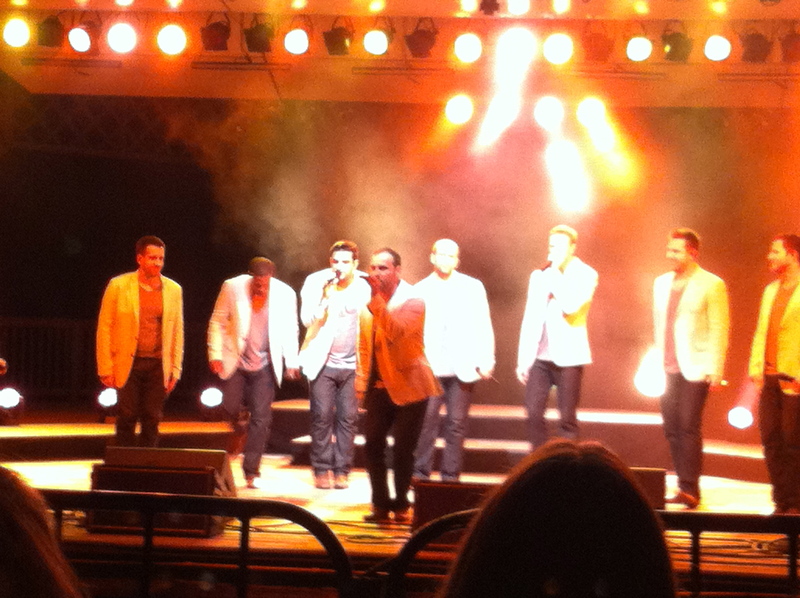 On Saturday evening the Hubby and I had tickets to see one of my favorite singing groups Straight No Chaser. 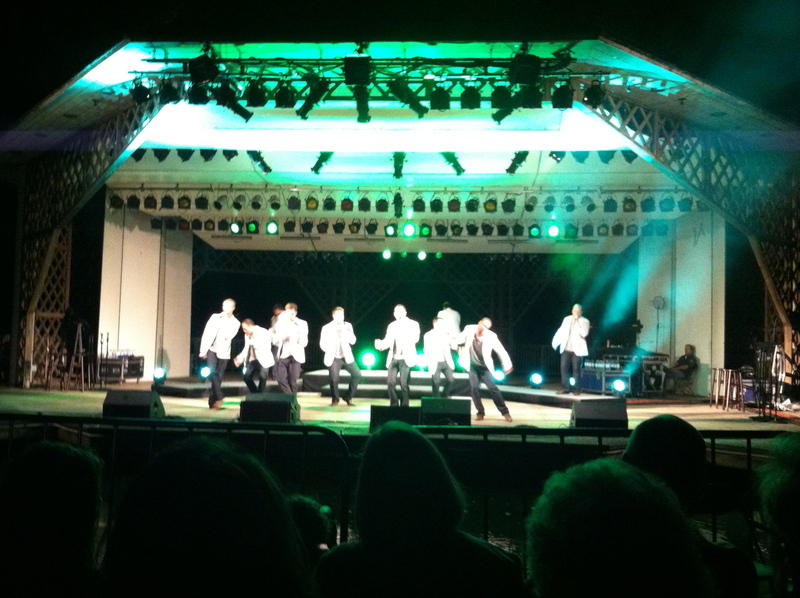 The group is an All Male A Capella Group who started out at Indiana University. I stumbled upon them a couple years ago when their 12 Days of Christmas YouTube video went viral. Below are some pics from the concert and a video I took of one of my favorite songs they cover. 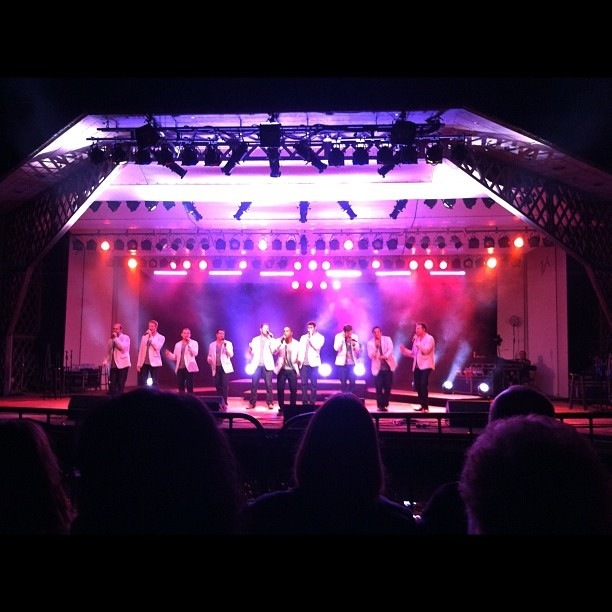 The concert was held at an outdoor venue located on the property of the local college. 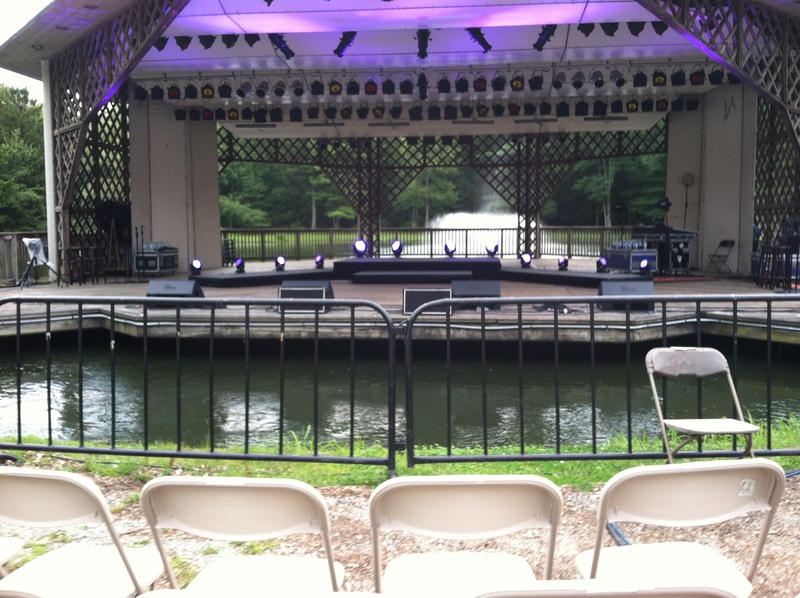 The stage actually sits out in the pond and is “floating”. As you can see we had excellent seats, only thing separating us from them was the Moat as they called it. It’s been a week. A good week but a week none the less. As I mentioned in my last post we were going out to dinner with my parents for their anniversary. It was a nice night and good to spend some time without the rest of the siblings. My Mom decided she wanted to try a new restaurant that opened a few weeks ago, a Steak and Seafood place. This is a new restaurant but the owner/manager is related to another local restaurant which has a great reputation so we had semi high expectations. 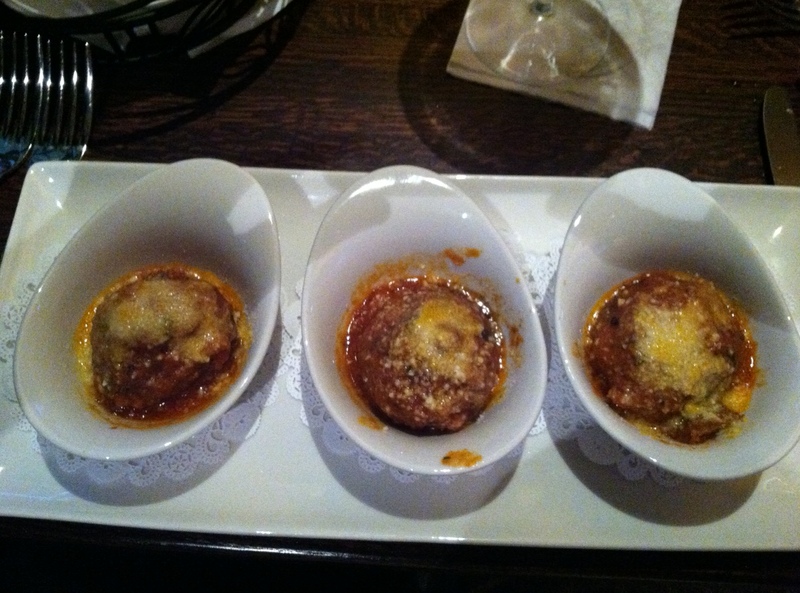 I started with the Meat Ball trio appetizer, the presentation was nice and the meatballs were really good. For my entree I had to order the Short Ribs. 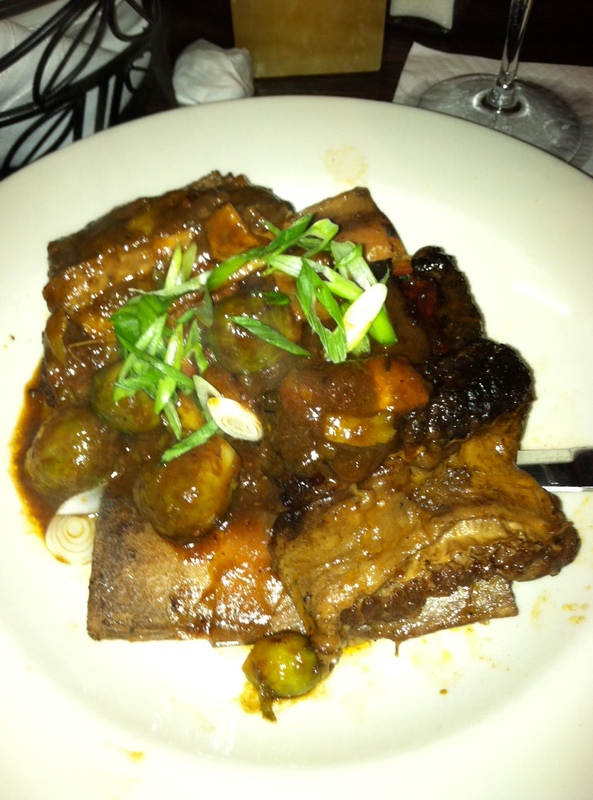 I love short ribs but never seem to be able to cook them at home as well as they do at restaurants. 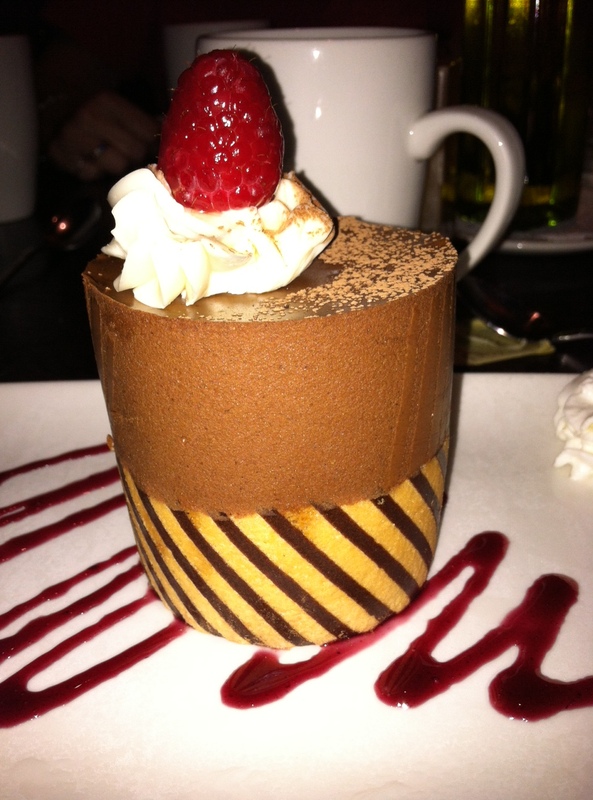 Naturally dessert was in order since it was a special occasion, this was the Chocolate Mousse. Saturday night was another parade night for us. As is usual for this particular fire dept we marched for we were near the tail end of the parade. The parade started at 5:30 we were done around 7:30 so the sun had mostly set and the heat was bearable. We have finally started the painting project in the house. I will be doing before and after shots once we have finished. The paint was purchased last weekend and Sunday afternoon I washed down all the walls and did the taping prep so that Monday night we could actually get paint on the walls. We did one coat on Monday night then a 2nd coat on Weds night so we are mostly done with half of 1 room. There are 2 rooms connected by a large doorway that we are carrying the same paint combinations through. I think it will look really good once we are done, but more painting is on the horizon for this weekend. Tuesday night the Hubby watched our niece and nephew while my brother and I were at the final rehearsal for the Drum Corps Concert on the Green. 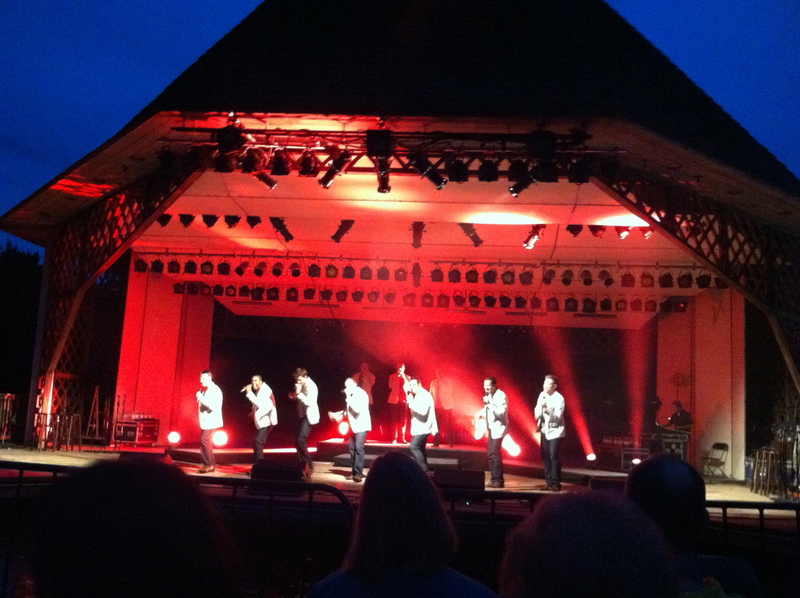 The concert was last night and I am happy to say it went very well. Since I am not a playing member of the group just the Drum Major, I acted as MC for the evening. Our musical director conducted the 10 songs while I read snippets of Corps history and facts about the songs we were playing. Public speaking is not high on my list of things I enjoy, but others said I did very well. This week we also had a visitor arrive at the house for a short stay. 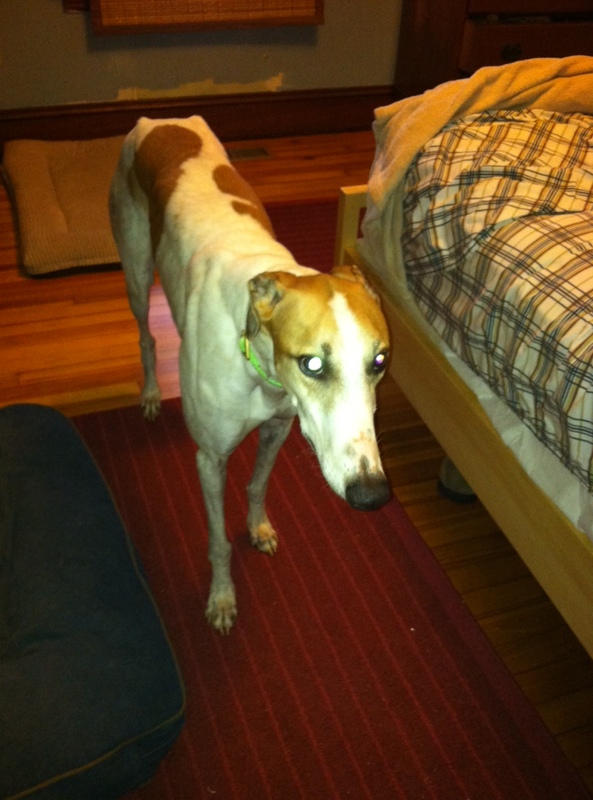 Buzz is our 6th foster greyhound we have had in the last 2 years. We had originally planned to take a slight break (which we did for a couple months) but they were in need of some homes so we decided we could take him in. So far he has settled in nicely although he has only been with us since Wednesday night. The weekend looks to be shaping up nicely. 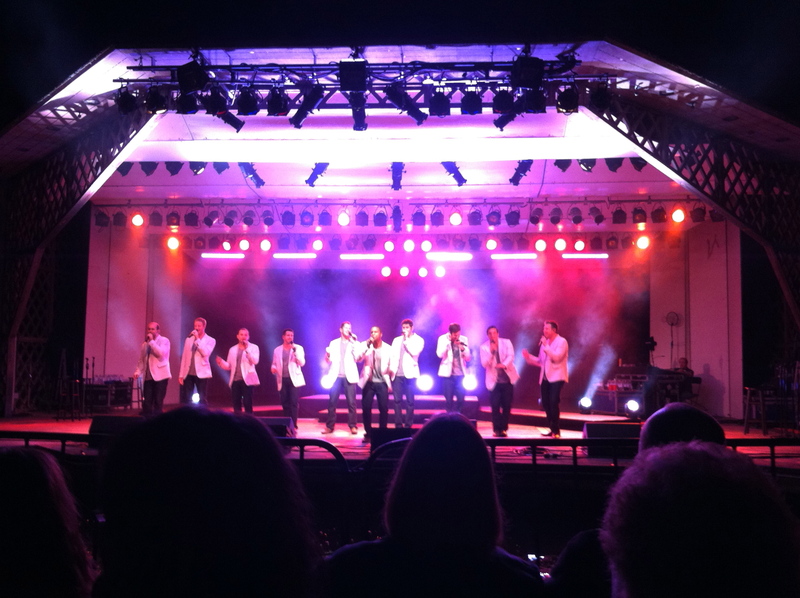 Saturday night we have tickets to go see one of my favorite singing groups Straight No Chaser. 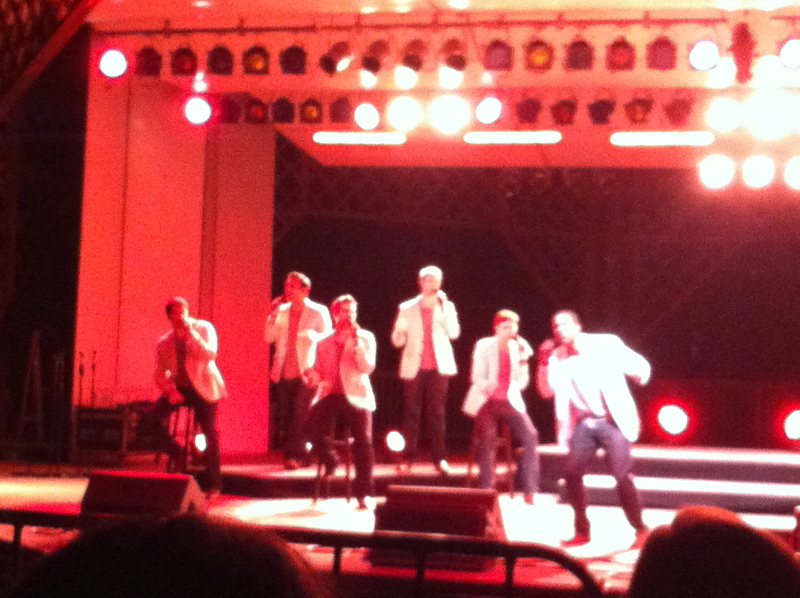 They are an all male A Cappella group. The concert is at an outdoor arena at the local college. We have actual seats where as others (including my best girlfriend) have seats out on the lawn. It feels like forever ago when I purchased these tickets, I think it was back in March. Fan Club pre orders are the best! Sunday is Moms Birthday and her and my Dad are using it as an opportunity to christen the new Deck they built. Well OK they didn’t build it my uncle did, and it was more of an expansion than a brand new deck. It should be nice now that we won’t all be squished together, with 5 siblings, spouses, and grandkids it can get crowded. That’s all I’ve got for now, catch you on the flip side. Surprisingly I haven’t really had a lot to say. Not too much exciting has been happening. Guess I’ll give a quick rundown. We cam back from Grapehounds, with plenty to restock the wine shelves with. The pups I think have finally recovered. 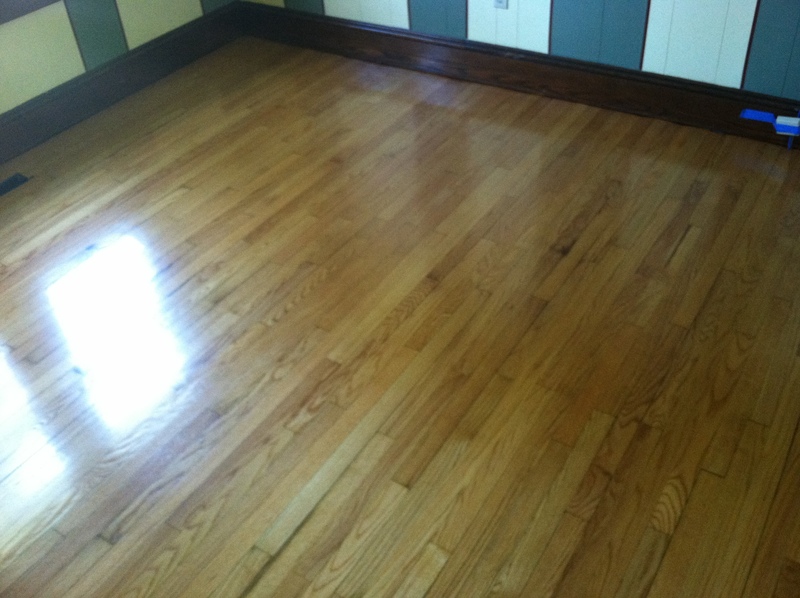 We had the floors refinished while we were gone, made send 2 months ago. No one here not even the dogs, it became not a good idea as we spent 3 nights moving every last piece of furniture and inside doors out of the living area. I will say though the idea turned back to good when I saw how great they came out. A quick 2 days at work then the Hubby and I attended a Company Family Picnic sponsored by The Mothership. The worst part was the bus ride home from New Jersey. The best part? Getting paid to Eat and lounge by a pool all day. Last week the Hubby had to go down to visit his Mom who was having surgery. All went well but the puppies and I missed him. While he was gone I had 1 parade to keep me busy. Found out later that night that we Won Best Overall Musical Unit. This was a good deal going into our next parade last Friday which was a convention. I haven’t heard if we won any trophies or how our fire dept did either. Saturday was our friends Monthly Gayme Night. This one marked the 3rd Anniversary. The hosts decided they wanted to do a meal and start and hour earlier. 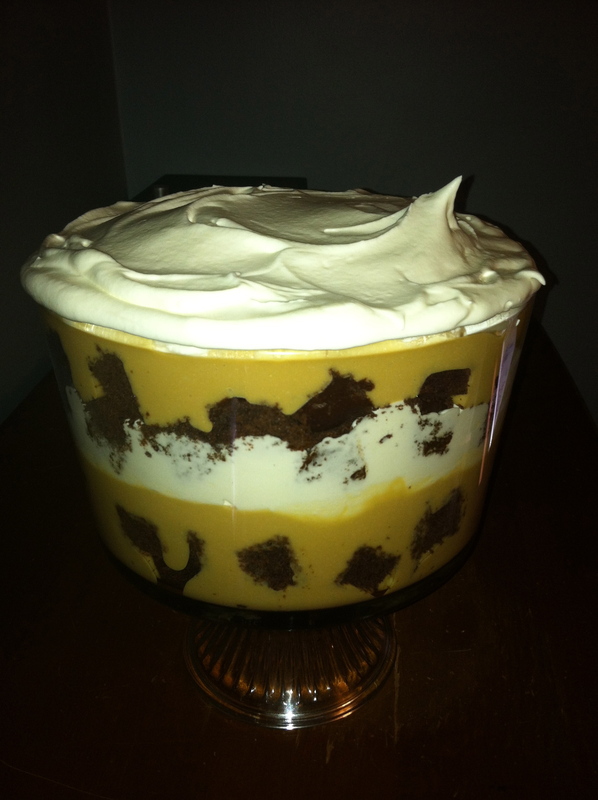 The Hubby made his fabulous Smoked Pork and I made a Brownie, butterscotch pudding Trifle. 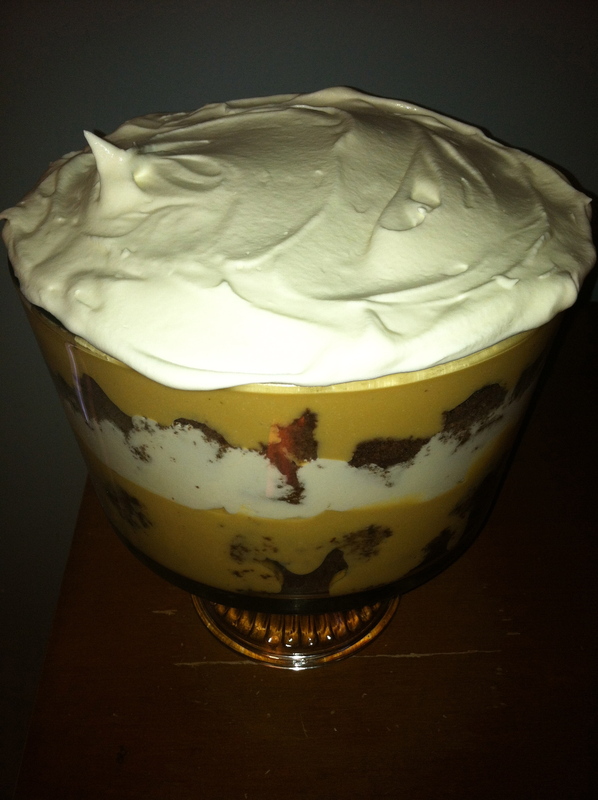 It got rave reviews and no one (but a select few) knew it was Gluten Free and the pudding made with Almond Milk so it was healthier. Along with the food, I bought a new game to play. 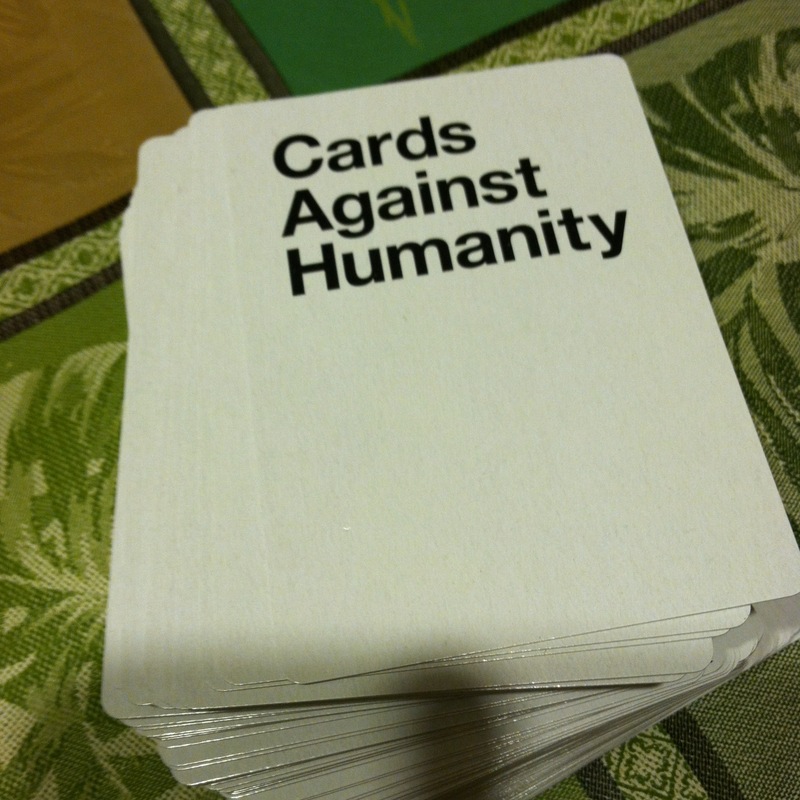 I had heard of Cards Against Humanity on a podcast I listen to called The Game Night Guys. 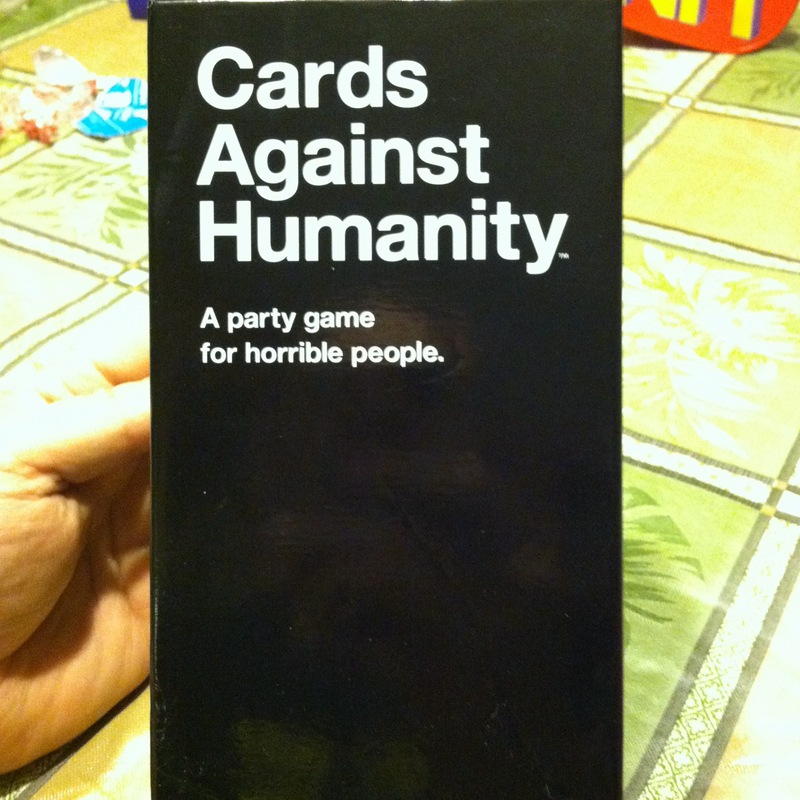 The game was a huge hit and will be a staple at future game nights I’m sure. Sunday the hubby did a little weeding then off we went to the Home Improvement stores to look at paint. We have also now decided since the house is empty (still) we may as well paint the rooms. Not sure when we will finish, since we haven’t started yet. 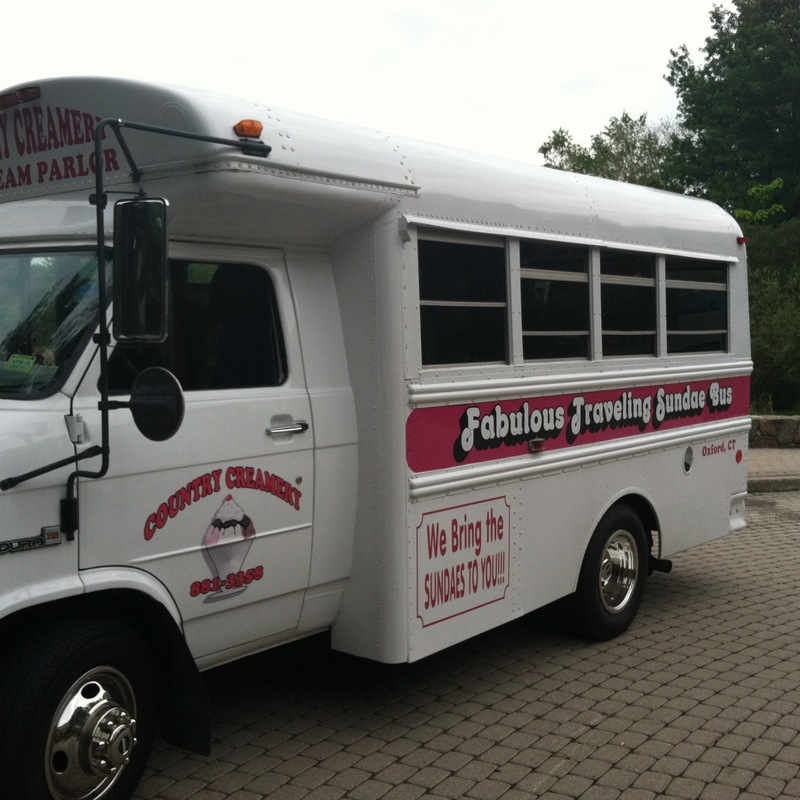 Today was chock full of excitement as not only did I have my Mid Year Review, but the Traveling Sundae Bus stopped by for an afternoon Ice Cream Sundae break. Friday night we are expanding our usual date night to join my parents for dinner for their 39th Anniversary. Saturday night is another parade. Let’s hope the humidity stays at bay for a while, those uniforms get hot! That’s about it for now….comment if you like or not. 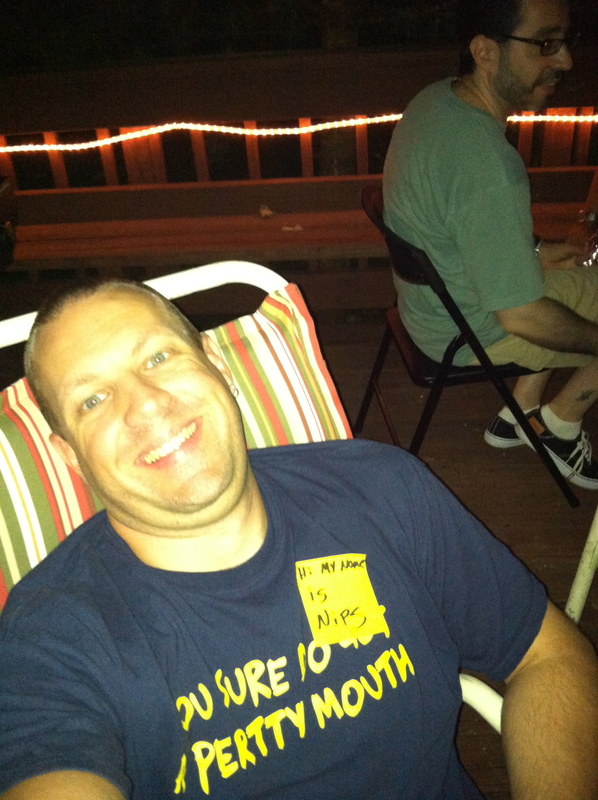 I’ll leave you with a self pic from late in the night of Gayme Night.